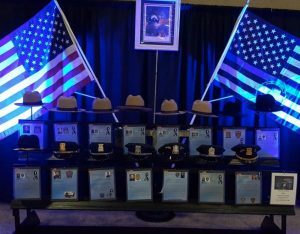 The Badge of Honor Association’s Policeman’s Ball is an annual event that brings together the Law Enforcement community and honors those who have made the ultimate sacrifice. On Saturday, June 2nd 2018, the Buffalo Riverside Convention Center hosted the Badge of Honor Association Policeman’s Ball. The ball is both a celebration of current Officers and the work they do everyday, as well as a way to recognize and honor those Officers who have made the ultimate sacrifice. This year marked the 10th year of the Policeman’s Ball. Officers from all across NY state attended. The Badge of Honor Association launched their new program ‘The Blue Line Speaks’ at this year’s ball. ‘The Blue Line Speaks’ are videos of Officers sharing their stories about the after effect of a critical incident, to let other Officers know that they are not alone. 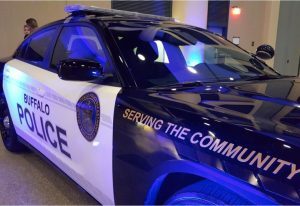 The program educates the public on the stresses that Officers and their families often face, while offering to support Officers involved in critical incidents. The Badge of Honor Association is a 100% volunteer run, non-profit that supports over 25,000 Police Officers throughout western and central New York state. BOHA provides much needed support for Officers who are involved in critical incidents by providing financial support and counseling, education, and connecting them with a complete support network. The Badge of Honor also provides support for children who have lost a parent or guardian in the line of duty. The Badge of Honor touches the lives of Officers in over 28 counties. Sponsorship and donations are always needed to support the costs of the Ball, as well as to fund ongoing BOHA initiatives. The LTC team is always looking for ways to ‘Back the Blue’ and to give back to the Western NY community. Our Edu-Techie team was honored to attend the ball, and partner with the Badge of Honor Association. Questions? Want to learn more about the Policeman’s Ball?